The Energy Cooperative (TEC) is offering rebates of up to $400, to residential electric cooperative members only, who replace their existing refrigerators or stand-alone freezers with a qualifying new ENERGY STAR®-listed appliance, and recycle the older unit being replaced. The rebate will be paid to the Cooperative member-consumer whose name is associated with the electric residential account, in the form of a check, to be mailed to the residence. Please allow 6-8 weeks for the approval and processing of the rebate check. By providing documentation that the old refrigerator and/or freezer was removed from the residence for recycling, the member also qualifies for The Energy Cooperative’s $50 refrigerator/freezer recycling rebate. If you have any questions, please contact our Member Service Department at (800) 255-6815. Refrigerators and stand-alone freezers must be new and ENERGY STAR® rated at time of purchase and installation. Only new ENERGY STAR® refrigerators sized 10-30 cubic feet are eligible. Only new ENERGY STAR® stand-alone freezers sized 10-30 cubic feet are eligible. Members moving into a new home where there are no existing appliances are not eligible. The member must provide a copy of the purchase receipt for the new ENERGY STAR® refrigerator or stand-alone freezer that was purchased and installed in a residence served by The Energy Cooperative between July 1, 2018, and June 30, 2019. Units purchased prior to July 1, 2018, are not eligible. Member must also include proof of ENERGY STAR®-listing®, such as a copy of the yellow Energy Guide label or owner’s manual (must include ENERGY STAR® logo or statement of ENERGY STAR®-certification). See example of ENERGY STAR® tag. Member must show documentation proving the older unit(s) that are being replaced have been removed from the residence and recycled. The building in which the new ENERGY STAR® appliance is installed must be a residence that purchases electricity from The Energy Cooperative. No commercial or industrial buildings. All mail-in rebates must be post-marked by July 2, 2019 to be eligible. Do not send original documents. The Energy Cooperative is not responsible for lost documentation. Units not meeting cubic feet requirements are not eligible for this program. All documentation for the purchase and installation of the ENERGY STAR® refrigerator or stand-alone freezer must be approved by The Energy Cooperative. Rebate is to be paid to the Cooperative electric member-consumer, whose name is associated with the electric account. The rebate cannot be paid to a home builder/dealer. Offer expires when funds are depleted on a first-come, first served basis or when/if the program is discontinued by Ohio’s Rural Electric Cooperatives. Time to recycle that old refrigerator or freezer? Get $50 for Recycling Your Old Refrigerator or Freezer.  The Energy Cooperative is offering rebates of up to $100, to residential electric cooperative members only, who recycle their old refrigerators and/or stand-alone freezers. Available to residential electric members of The Energy Cooperative only. Rebate does not apply to commercial or industrial accounts. Members must own the unit(s) being recycled. Refrigerator or freezer must be 10-30 cubic feet in size, utilizing inside measurements. Member must provide documentation that the older refrigerator or stand-alone was removed from the residence by a qualified business/service for recycling between July 1, 2018, and June 30, 2019. Units removed/recycled prior to July 1, 2018, are not eligible. The recycling documentation for the refrigerator or stand-alone freezer must be approved by The Energy Cooperative. A maximum of two $50 appliance rebates per residence (maximum $100) may be paid per residential consumer-member home during the current program year July 1, 2018 through June 30, 2019. Mail-in rebate documentation must be postmarked by July 2, 2019. The rebate will be paid to the Cooperative member-consumer, whose name is associated with the residential account, in the form of a check, to be mailed to the residence. Please allow 6-8 weeks for approval and processing of the rebate check. The Energy Cooperative will not provide or arrange recycling service. Member is responsible recycling their own fridge. Donations or gifting of unit(s) does not qualify. Rebate amounts and eligible appliances are subject to change at any time. The Energy Cooperative reserves the right to refuse rebate request(s) if member’s ability to meet listed criteria are in question. Copies of recycling documentation should be mailed to The Energy Cooperative, Attention: Member Rebates, PO Box 4970, Newark, Ohio, 43058-4970. Please include your name, address, phone, and account number with your copies. Please do not send original documentation. The Energy Cooperative is not responsible for lost receipts. To submit your documentation for rebate processing in-person, please visit The Energy Cooperative’s main office at 1500 Granville Road, Newark, OH 43055.